Two years ago today, one of our daughter’s namesakes, Aubrey, died tragically and unexpectedly. That night, I sat down to write and decided to tell our story for the first time on my original blog. Over the years, we’d told the story numerous times but had not posted the complete version on the internet. But in that moment, when the world was collectively telling stories about our leader we adored, I knew it was time to share as a tribute to him. Today, I am telling our story to share just how much our every day, walking around, going-to-work life matters. Esther trusted Mordecai when he told her perhaps she had been promoted to Queen for the exact purpose of saving the Jewish people at that moment. We believe God used an ordinary, infertile girl working for an extraordinary, generous CEO for the exact purpose of growing families. 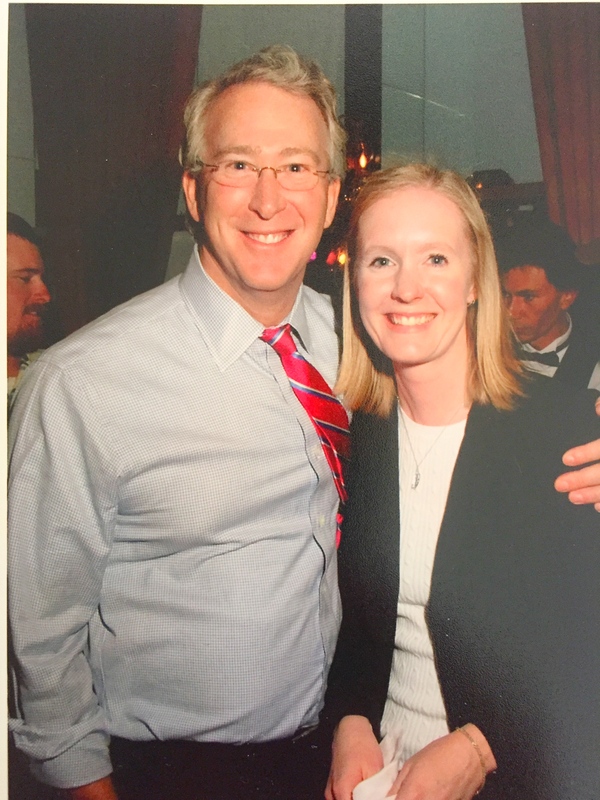 In 2003, after leaving our first home off the coast of Georgia, Dr and I moved to Oklahoma City for graduate school at the University of Oklahoma. We adored it. The city had this passion, this belief in itself, this drive to be the best place to work and play. My first job in town was at a local private college and while there, I’d met a corporate recruiter hunting for a new Executive Assistant with an up and coming energy company. 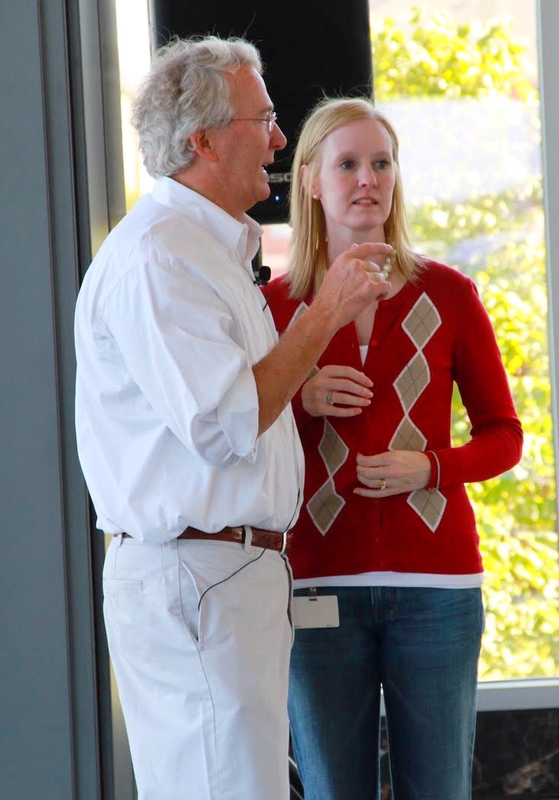 I met our CEO, Aubrey, during my second interview for that position. I interviewed with his primary assistant, Linda, first and wowing him was the second hurdle. We had rescheduled the interview once already because it was smack in the middle of March Madness. I learned later the interview almost got rescheduled again but, thankfully for me, the Duke men’s basketball team lost the night before. 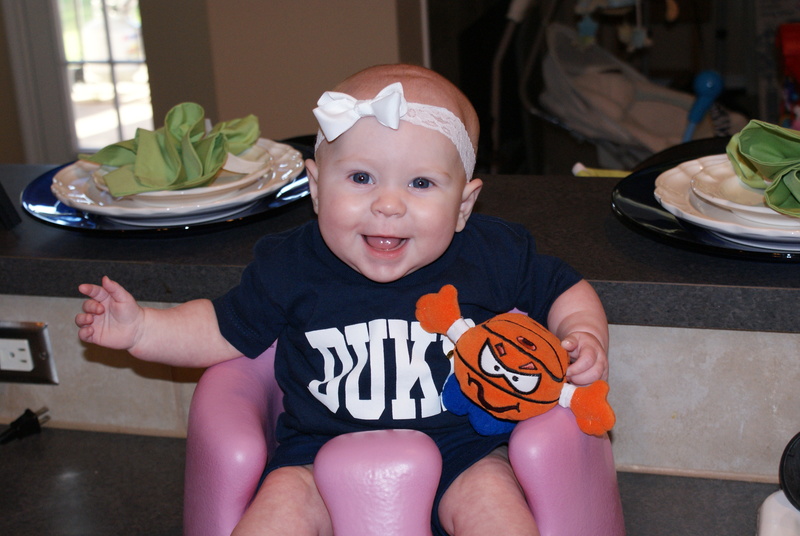 He loved Duke basketball. Aubrey’s interview style shared a striking resemblance to the game of basketball. He interviewed by shooting questions out in rapid fire, like I was the hoop and he was ALL THE PLAYERS on the team. I remember barely having time to think. Those years as an EA in the CEO and CFO’s office were incredible. Incredibly hard and incredibly rewarding. We planned jet ski trips and Board of Directors meetings, college football tailgates, local meetings with non-profits, office Christmas lunches, executive family adventures to places like Italy and Peru. Earnings reports, press releases, financial road trips. All while the company was growing and building and developing at a ferocious pace. Just this past fall, I met a fellow former employee at the cross-walk stop in my neighborhood, of all places. Took us about two minutes to figure out we had both worked for the same company. The man said he loved the company and added, “You know, that CEO, he cared about us. He really cared for his employees.” Without me telling him I had worked for the CEO. In 2007, Dr took a job away from Oklahoma. In Texas. We’d done our best to stay but this was the path God put us on. IN TEXAS. Sometimes God really confuses me. Somewhere around the first year after I’d transferred, Aubrey asked my boss if she knew anything about me and possible babies. Aubrey knew before we moved we were ready to grow our family and it was so like him to remember. The timing of his question was incredibly perfect. We were only just beginning to work with our infertility doctor (an RE). Later that night, he called me. He confessed he’d asked my boss about our troubles having children and asked to be kept in the loop on what we were doing with treatments. I was beyond touched. That year, Aubrey and Katie witnessed us in the fight of our lives. Surgery. An IUI that I thought was going to kill me. IVF 0.5 canceled thanks to cyst growth. IVF 1.5 resulted in four embabies but no pregnancy. And IVF 2.5 added six more embabies and one very ambitious (STUBBORN) embryo who decided to stick around for the long haul. With each treatment, each failed IVF attempt, I emailed him and his precious wife, Katie, with the details. Not with every single doctor’s appointment, that would have been insane, but with most major events, including the costs of all those treatments. He always thanked me for letting him know, asked questions, and reminded me to keep them up to date on the next step. He and Katie were overjoyed, as was everyone in our lives, when I was finally able to announce our pregnancy. In the fall of 2009, a few months into our miracle pregnancy, our company released the new insurance information for the upcoming year. Included, for the first time ever, was infertility insurance and adoption assistance. I remember sitting at my desk crying. At the time, that meant over 12,000 employees now had financial access to build their families. 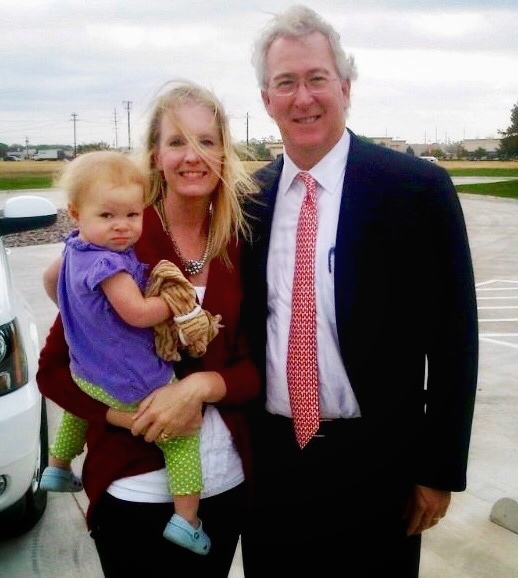 A few weeks later, Aubrey was in town for the opening of a new field office. There I was, wearing a little black maternity dress, practically glowing with joy and nervousness, waiting for the moment I would finally speak with Aubrey. I will never, ever forget his words back. And he rushed off for the next event on the schedule. Over the year of Aubrey and Katie’s involvement in our infertility journey, we joked we should name a little girl after them. That day in October of 2009, when he gave us such a gift of acknowledging how our struggles had changed a corporate benefit, the joke ended. We knew, if our miracle baby were a girl, she would be, without a doubt, Aubrey Kate. People do ask about her name, having two names is not entirely common out here in Texas, and we absolutely adore telling her story. Our daughter’s name reminds us how God works through our regular, ordinary, walking around, going-to-work lives. 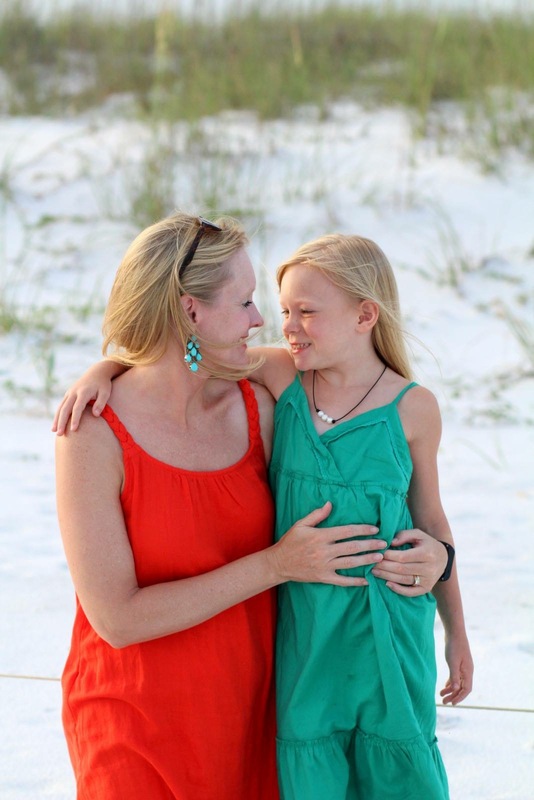 We believe one of the reasons we had to go through those years of infertility was for Aubrey. So he could witness the fight, put the insurance into place and one day in heaven, God will introduce us to all the families He grew through that benefit and I cannot wait to meet them. In a way only He can, God weaved the lives of a generous, kind, powerful CEO and an ordinary, grateful, infertile girl together. Both of us exactly where we needed to be for one purpose. 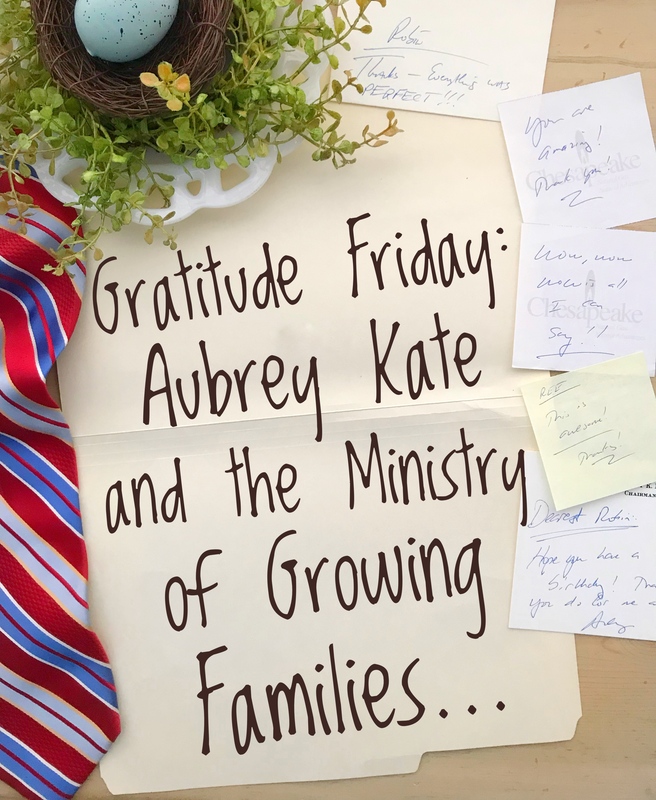 The Ministry of Growing Families. And every second of our journey, every shot, every appointment, every loss, all completely worth it. This still blows my mind but after the post I wrote two years ago, a local news station asked to interview me about our story. Most of the information is accurate, however, I was only his assistant for three-and-a-half years. I worked for the company a total of seven. And I think “close relationship” is a stretch. He was my boss. Not someone who went with me antiquing on the weekends. If you’d like to hear me tell more about our infertility journey and how God radically changed our lives through it, you can listen to me say “super grateful” approximately 2,846 times on this podcast with my friend, Ashley. I love you, I love your words: your perfect infusion of hope and guidance and strength and where the thankful glory lives. I find wisdom and courage when I seek you. Thank you a zillion million ♥️ I hope you and yours are healthy, happy, and amazing. Windy, thank you so much! So grateful to have you here!! !